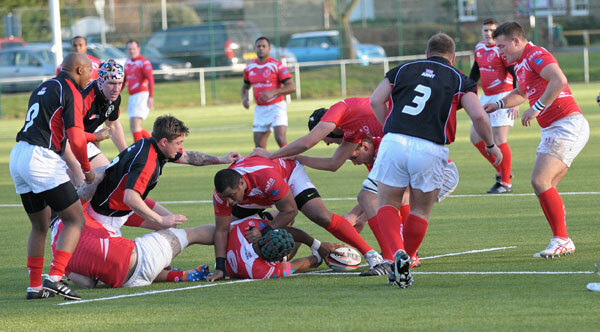 In the wettest month for many a moon British Army (Germany) renewed the fixture against an Army ‘A’ XV trawled from a severe bout of Autumn scouting by Coach Axel Rees and his cohorts. Not the mud bath that might have been expected but a fast open contest on the Maidenhead club’s “ultra modern ‘3G’ pitch” such that reputations could start to be made. 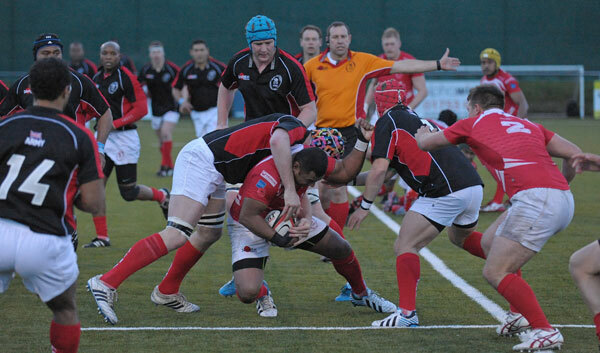 The A’s were led to the gain line by prop Joe Baker (RLC) on his return from Afghanistan. 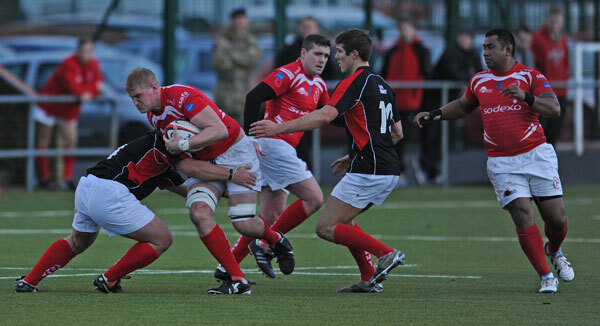 In the same match five years ago Scotland prop Mattie Stewart, U23 forwards coach, predicted Baker’s rise, posing a threat to those warming themselves in the Red’s front row comfort zone. He has arrived. Encouraged by a flowing ball the ‘A’s’ ‘five eights’ trio of Laing, Lamont and Peckham attacked with a great deal of panache. Their names are now firmly in the book and with exposure they will flourish. 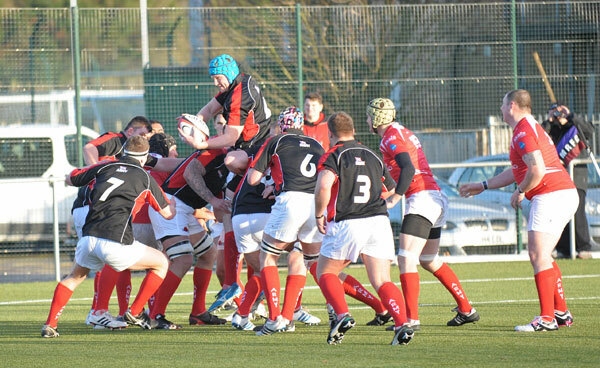 Behind Joe Baker, and a very solid front row, Rob Lennox showed well in the lines – out and carried the ball with menace. The squad from Germany travelled to make their name in what is clearly a ‘must play’ fixture. Dominic Shaw at No9 should consider clearing at his diary between now and 3 May. His service is fast and accurate and importantly the coaching entourage believed he could step up a gear. Mc Bride at lock has grunt and pace and got stuck in at the Moulinex moments whilst Navewabau on the ‘G3’ took his opportunity to show real pace. For the record the ‘A’s’ scored more points than the BA(G) XV but that is all. The cardinal point is that Axel Rees’ sheet of paper was, on 13 January, clean and the pencil was sharp. There are now many good rugby players out there who aspire to wearing a Red’s shirt, who played for themselves and for their team. At Maidenhead a hangar load of justifiable aspirants just gave the ‘names’ a sideways nudge on the road towards Twickenham.